Red Dry Wine variety of Cabernet Sauvignon with deep red color and brown and orange shades. Its rich flavor distinguishes aromas of spices, ripe fruit, vanilla and oak, with a long aftertaste. It accompanies red meat, hunting and spicy cheeses. Enjoy it at 17 ° C.
Red Dry Wine with a deep purple color, from selected Merlot varieties. 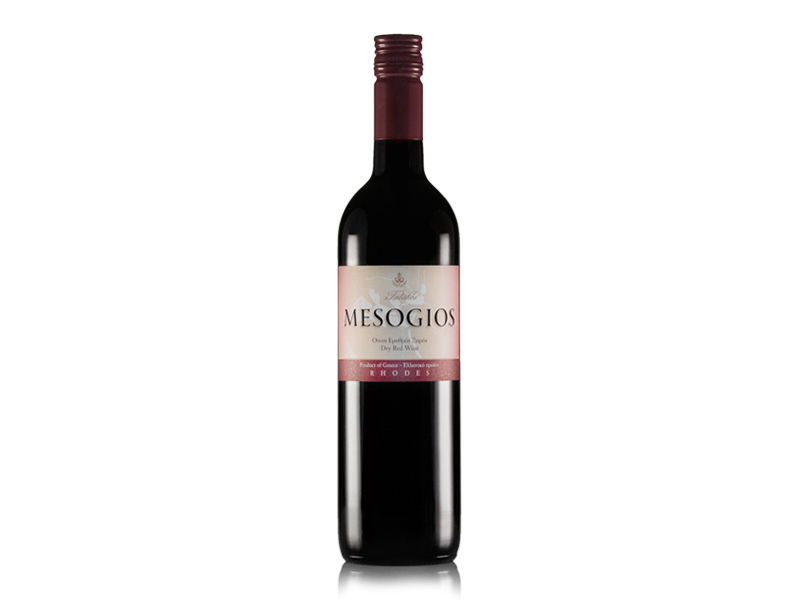 Fragrances of black ripe fruit and vanilla emerge from its velvety taste with soft tannins. Accompanies spicy cheeses and red meat. Dry Red Wine. Deep ruby colour by selected grape varieties of Mandilariou and Merlot. A balanced and velvety taste that brings out the aromas of currants and nuts. The intense dry aftertaste ideally accompanies mature cheese and red meat. Best between 16-18 °C. Red Medium Sweet Wine. 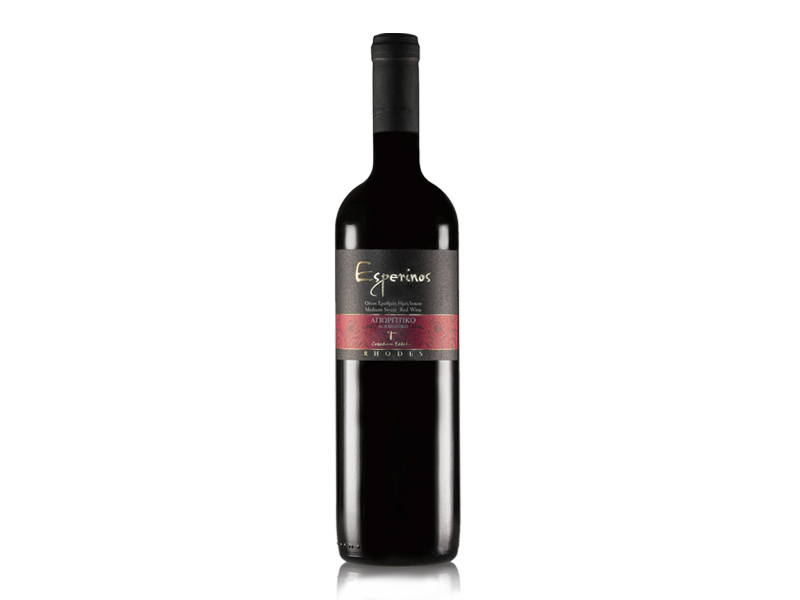 Selected by the grape varieties of Mandilariou and Merlot with reflections of burgundy distinctive in its deep red colour. Aromas of blackberry,cherry and sour cherry emerge from its rich sophisticated taste and leave an intense finish of red fruit and sweet spices. Best served at 12-14 °C. Dry Red Wine. 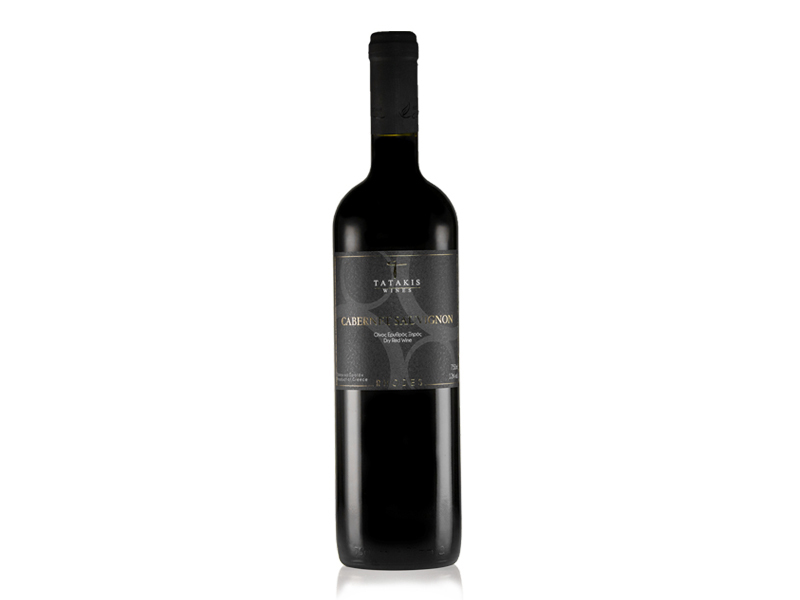 Deep red colour with aromas of dried red fruit and spices. Recommended ideally with mature cheese and all sorts of red meat. Best between 17-18 °C. Medium Sweet Red Wine. Deep purple colour with aromas of dried prune,blackcurrants and vanilla. Ideally accompanies cheese,red meat and game. Enjoy at 12-14 °C. Rose Medium Sweet Wine. Selected by the grape varieties of Moshatou and Mandilariou. Deep pink colour with reflections of saumon. Intense aromas of strawberry ,cherry and blackberry leave a satisfying aftertaste on the palate. Ideally accompanies white cheese, meat in sweet and sour sauces and fruit. Best served at 6-8 °C. 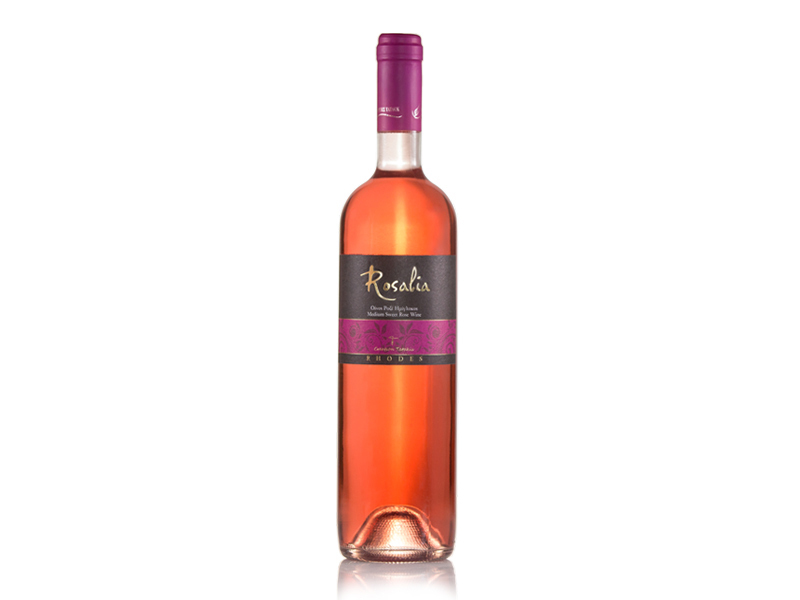 Rose Dry Wine in a bright cherry colour by selected grape varieties of Moshatou and Mandilariou. Aromas of roses,sour cherries and currants give off a balanced taste. Accompanies ideally sea food,fish and fruit. Best served at 11 °C. Dry Rose Wine, in a deep rose colour and aromas of roses and cherries. Ideally accompanies cheese,sea food and white meat. Best served at 11 °C. Dry White Wine. 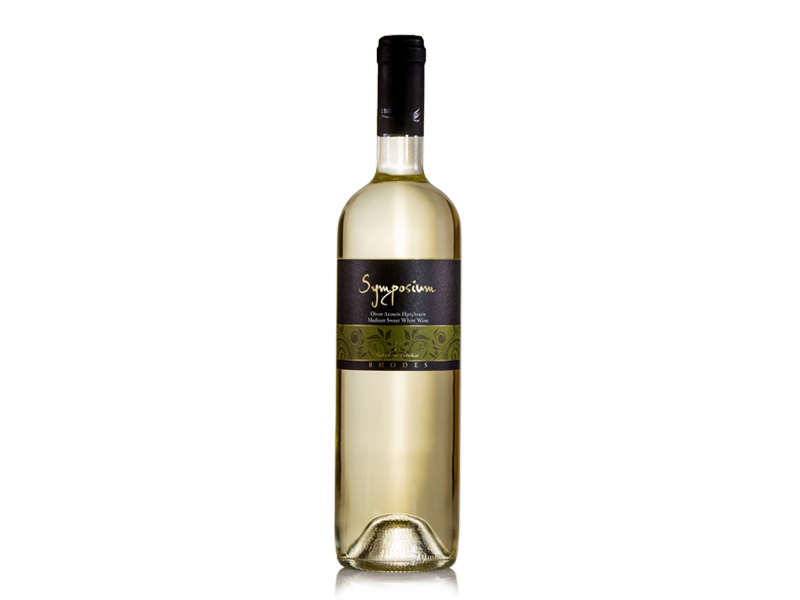 Bright white-yellow colour by a selected combination of two grape varieties, Athiri and Moshatou. Sophisticated aromas of green unripe fruit, apricot and lemon flowers emerge and give off a powerful, intense freshness on the palate, with a vanilla aftertaste. Ideally accompanies sea food,white meat and fruit. Enjoy at 10-12 °C. and bergamot emerge, giving off a rich fruity and well-rounded taste. The intense aftertaste of medium acidity ideally accompanies shellfish,sea food and fruit. Best served at 6-8 °C. White Dry Wine with bright yellowish gold, Chardonnay variety. 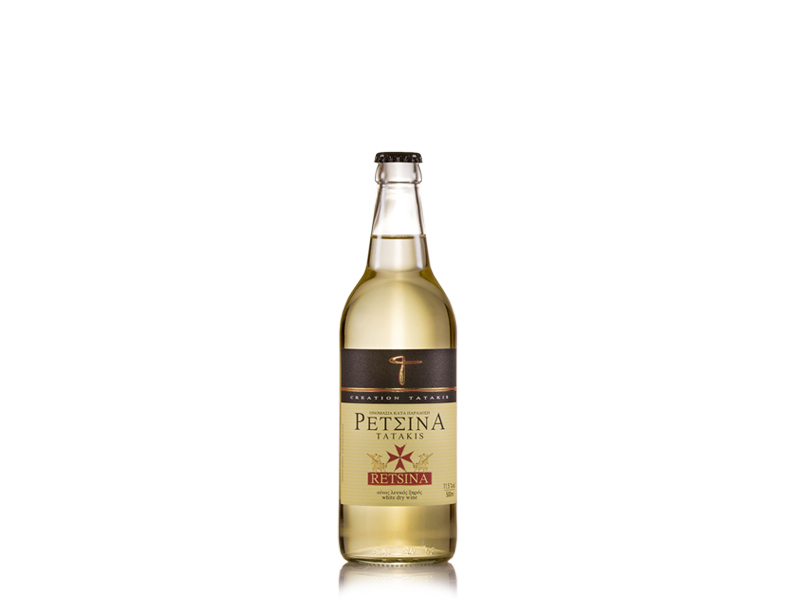 From its rich and full flavor emerges complex aromas of citrus, sweet spices and honey. It accompanies fish, seafood and meat with white sauces. 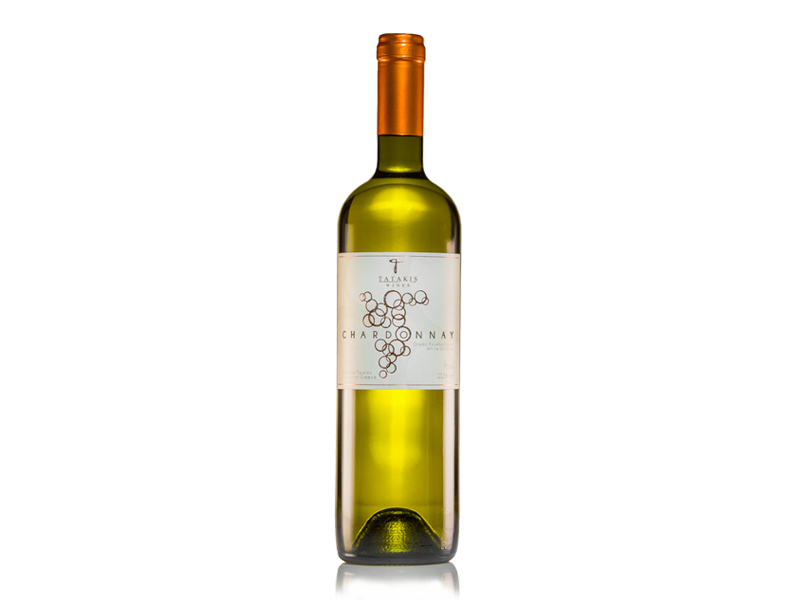 Enjoy it at 10 – 12 ° C.
White White Wine from a variety of Moschofilero white-yellow color with greenish shades. Strong aromas of rose, lemon and green apple emerge from its characteristic acidity flavor. It accompanies seafood, white meat and fruit. Enjoy it at 10 – 11 ° C.
White Dry Wine. 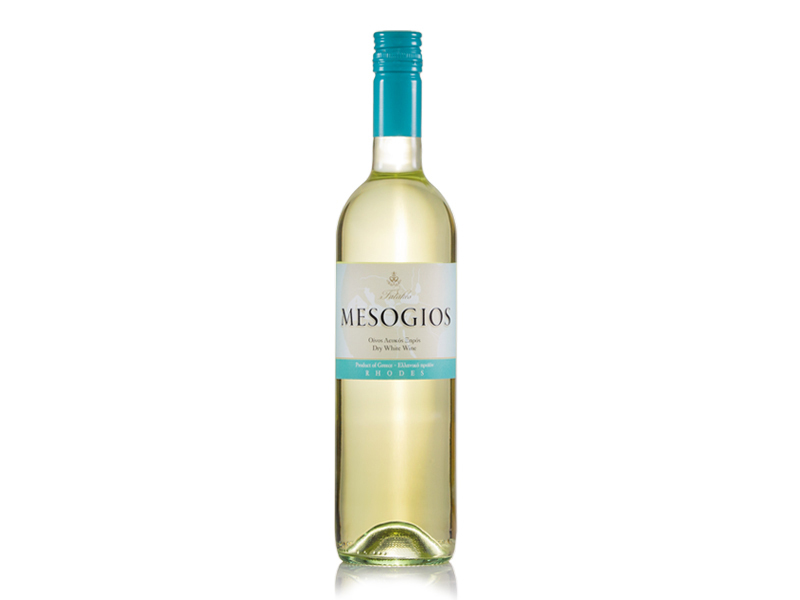 Yellow-white colour with flowery and citrus fruit aromas. Ideally accompanies cheese,white meat,poultry and fruit. Best between 10-12 °C. 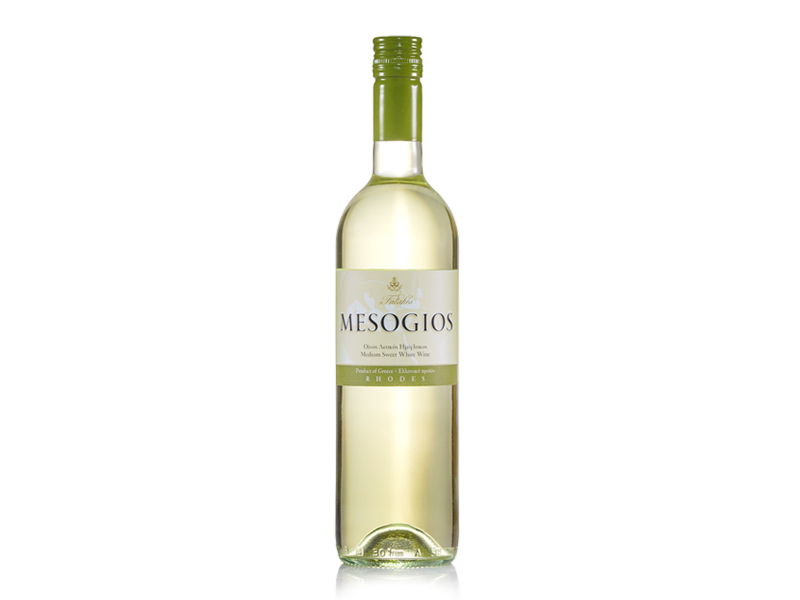 Medium Sweet White Wine. 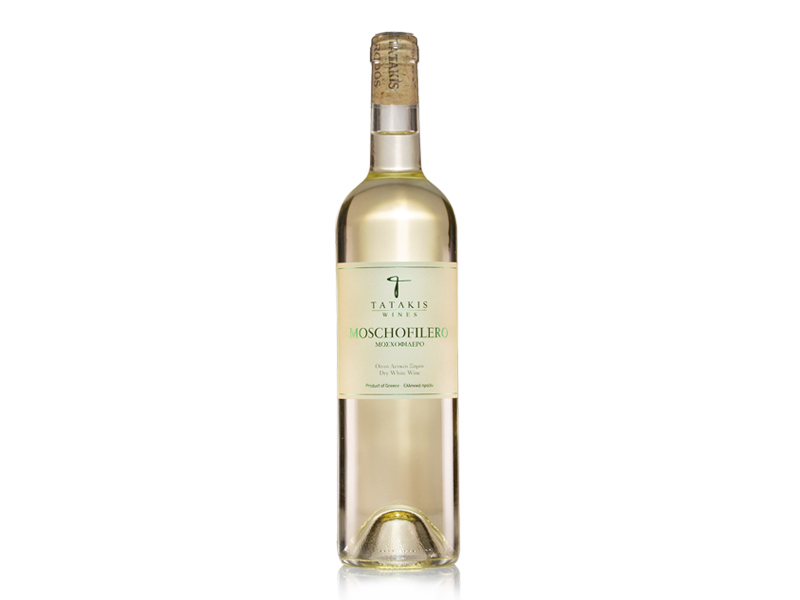 Yellow-white colour with aromas of citrus fruit, honey and melon. Recommended with cheese, sea food and fruit. Serve at 6 to 8 °C. Wine white dry table. Gold color with amber shades. Complex aroma with characteristic pine and mouth full of intense aftertaste. It accompanies cheeses, white meat and fruit.